You probably have heard about terpenes, cannabinoids, Cannabidiol (CBD) and Tetrahydrocannabinol, (THC), but what the heck is hemp biomass and why do so many companies want to buy it? We know this is a new term to many and that is why we have designed this article to let you know all there is to know about hemp biomass and why it is so important not only in the CBD industry but also to other existing and emerging industry sectors. First things first. For you to understand hemp biomass, you must appreciate hemp first. Hemp is also referred to as industrial hemp and it is a variety of the Cannabis Sativa species of the marijuana plant. Usually, Sativa species have high Cannabidiol or CBD contents and as such cause no mind-altering effects on the users. Although hemp and marijuana plants come from the same species, they are genetically different in terms of chemical makeup. The plants may also be cultivated and grown differently. Physically, hemp plants are tall and skinny. They have uniquely long narrow leaves that are concentrated at the top of the plant. However, few branches may be seen below the top part of the plant. One of the best things about hemp plants is that they can adapt to grow in most climates and require very minimal human care. This is great news for farmers looking to make it big on this cash cow crop. The main difference between hemp and marijuana plant is perhaps the high THC levels in the latter. THC is the component responsible for the psychoactive effect in the marijuana plant. While marijuana has about 15-40% of THC, hemp has less than 1% of THC. With the passing of the recent 2018 Farm Bill, hemp is now legal to grow in all States as long as the THC content stays within legal boundary. Now that we know what hemp is, it is time we talked about hemp biomass. Biomass is a term used to refer to harvested parts of the hemp plant. There are 2 different types of biomass from industrial hemp. One type, the type used for CBD production, is created from the harvested flowers of the hemp plant. CBD biomass comes in different qualities and grades and is sold by the pound to CBD extractors and companies. IHF LLC sells this type of biomass and it is hand-shucked and tested. We also extract and sell CBD produced from our premium hemp biomass. Please contact us now if you are interested to sell or buy biomass. The other type is called hemp fibre biomass and refers to the organic materials of the hemp plant that are left over after the flowers have been harvested and processed. The waste regions such as the leaves and the stalks can then be put into an alternative use. This is where hemp biomass comes in! So hemp CBD and hemp fibre biomass are different. The former costs much higher and is sold by the pound to be used explicitly for CBD production. The other fibre type can be processed and converted into pellets and used as fuel or energy source. What is CBD Hemp Biomass? Hemp flower (or buds) are used to be turned into CBD products. 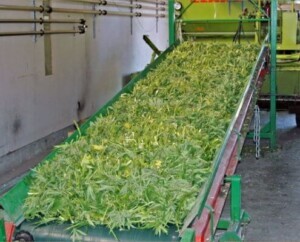 The hemp flower is sent to a processing facility where they use different techniques to extract the CBD from the raw hemp flower. With the passing of the 2018 Farm Bill, more and more farmers and companies are entering the hemp CBD market as the product soars in popularity. Biomass used to make CBD is the cash crop for farmers. Many farmers are getting rich overnight by selling their crop to processing and extracting companies. In fact, in the lazy few years supply has not been able to keep up with demand. This has further pushed the market up. For the foreseeable future there is likely to be a shortage and high demand for rich hemp flower to make CBD. 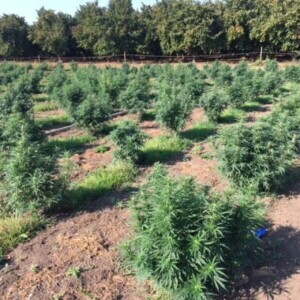 This will keep the demand for CBD-rich hemp flower up high. Hemp fibre biomass differs from hemp flower biomass. This type of industrial hemp consists of the stalks and leaves of the hemp plant. It has less profitability for farmers but has a great long term outlook. Hemp fibre can be used to manufacture a large number of products from paper and textiles all the way to concrete reinforcement. Over the next decade, we may see a massive increase in the use of hemp products in the industry due to the passing of the Farm Bill 2018. Bioenergy has risen in popularity as one of the best sources of renewable energy. Researchers believe that energy crops can decrease dependency on depleting energy sources or fossils. This, in turn, can help mitigate negative climatic changes. However, most biofuel crops tend to have a negative impact on the environment. While some consume too much water, others create harmful emissions and displace people. For this reason, there has been a constant need for a high energy crop with no or low environmental damage. This is where industrial hemp comes in. Hemp enthusiasts encourage the use of hemp biomass for a number of reasons. First, apart from its high potential biomass yield, the plant can easily fit into the existing crop rotations. This gives hemp plant a good fighting chance against the other energy crops. However, with all the advantages, use of industrial hemp for energy is still very limited. Hemp produces more fibre than any other plant! As already mentioned, hemp is a strong plant and can sustain poor weather conditions, pests, and drought. The plant also has a well-developed root system and requires less water as compared to other crops such as cotton. These properties make the plant a highly versatile fibre crop, made even greater by the high contents of biomass components and useful oils found in the plant. Although the plant has been historically used for energy purposes, its use was limited to the use of oils which were pressed and abstracted from the hemp plant. To convert hemp biomass into fuel, chemical decomposition or biological digestion is used. During this process, the waste materials from the hemp plant are gathered and transformed into a carbon nanomaterial. The carbon nanomaterial is used to replace the more expensive materials such as graphene. Graphene is a nanomaterial used in high-power batteries and supercapacitors. Supercapacitors, on the other hand, are used in fast-charging batteries such as the ones used in smartphones, vehicle braking systems and smartphones. George Mouratidis works as a full-time copywriter and journalist. He is the founder of WeedCopywriter.com, a bespoke content writing agency for the cannabis industry. George is a regular editor for many industry publications, as well as corporate blogs. He is also the co-writer of the book Ganja Hustle; a hit cannabis growing guide for the USA and Canada markets. When he is not writing, George likes to work out, trying new foods and playing with his cat. Currently, he lives in Greece.